Question #1: What is Eddie Murphy’s character name in the Beverley Hills Cops films? Question #2: What is Bill Murray’s character named in Groundhog Day? Question #3: In the film Gremlins what is Phoebe Cates character called? Question #4: What was Sigourney Weaver’s character called in Ghostbusters? Question #5: In the film Basic Instinct what is Sharon Stones character called? Question #6: What is Jamie Lee Curtis’s character called in the film Halloween? Feeling up for more quizzes then take another one by clicking here. In fact why not bookmark us as we add new quizzes each week, normally Friday pm. 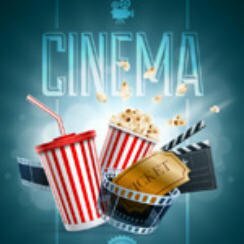 While you are on Popcorn Cinema Show why not check out the rest of the site, we have plenty of Blu-ray reviews, news, trailers and latest Blu-ray deals.